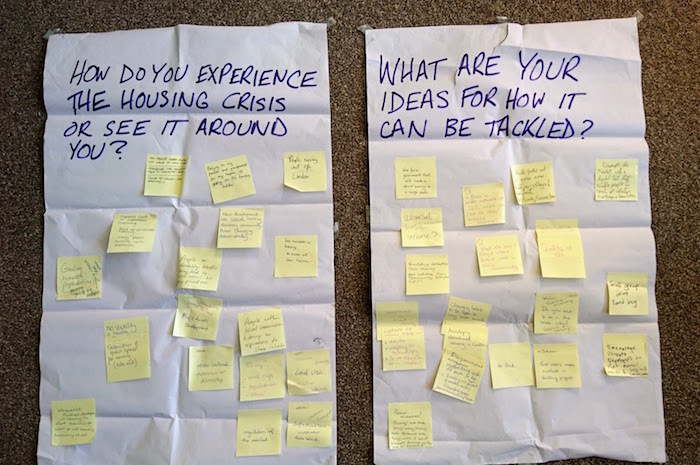 Blog post: How do you experience the Housing Crisis? High private rents mean that most people end up paying more in rent than you would in a mortgage. A housing crisis should not be happening in one of the richest countries in the world. Having a roof over your head is a right everyone should have. Single mothers should not be struggling for a place to live. Areas around us are changing, there is a lack of stability. High rise housing that no one wants to live in are being built; architects are not considering these structures with social aspects or community in mind. People on disability benefit being tied to their council, but being priced out. Lack of affordable and especially accessible housing – the type of housing available is not suitable for people’s needs. People within local communities having no aspirations to stay in London. Living with your parents in your 20’s -30’s is the norm now. Even as professionals – it’s creating an unhealthy living relationship environment. Young people having to resort to living illegally in order to afford to rent a room – making 2 bedrooms out of one room. Families with roots in the area, schools and jobs are being priced out of the area as rents rise. Older generations wanting to downsize are facing restrictions in trying to adapt their homes for community living, ie: combining two houses together to create a better communal living environment accommodating more elderly people – some policies are preventing them from doing this. Moving home a lot in the last few years – the record was 4 times in the last year! Stagnates your life – putting off family life or not starting one at all because of lack of a stable home. Power in numbers – need more like-minded people with the same vision to act and put pressure on politicians. If there were more organisations like RUSS we can address a lot of society’s problems as we are finding solutions. A place where ideas and resources that can be shared. Introducing rent caps and tackling policies, forcing governments to develop uninhabited and abandoned housing. Changing living habits to living more socially – intergenerational arrangements, ie: students living with old people. More flexible working – do you really need to live in London if large scale social housing opportunities exist outside of London where land is cheaper? Is the UK housing crisis concentrating too much on London? Most people travel 1hr to work each day. By opening up the green belts for development and with the right transport links more communities can live outside of London and thrive. There needs to be a greater understanding of inclusion and integration. For a project to be truly inclusive it needs to provide accessibility throughout the development, not just in one small part. Building that into the culture of the organisation is crucial for progress. Realise the power of change and not accept things they way they are – there are other alternative ways of living. More power to councils to allocate land to the community and not sell off to developers. 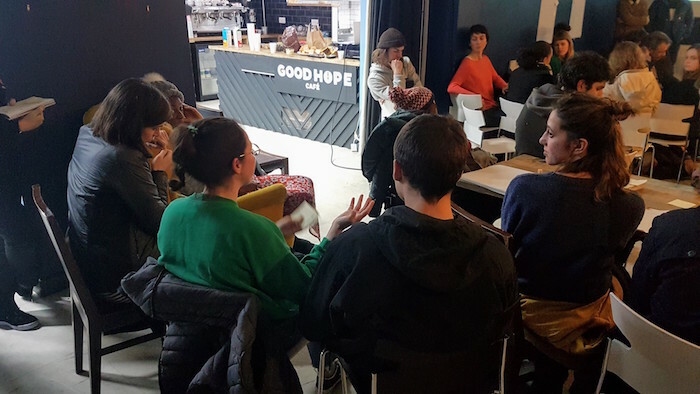 The great turnout on the evening and the answers given in the workshop illustrate the passion there is to address the issue of housing in our communities. RUSS’s aims are not just to build its Church Grove affordable housing project, but to support communities by opening up the debate and encouraging us all to participate and get involved. Let’s continue the debate online and on the RUSS Members Slack Channel.